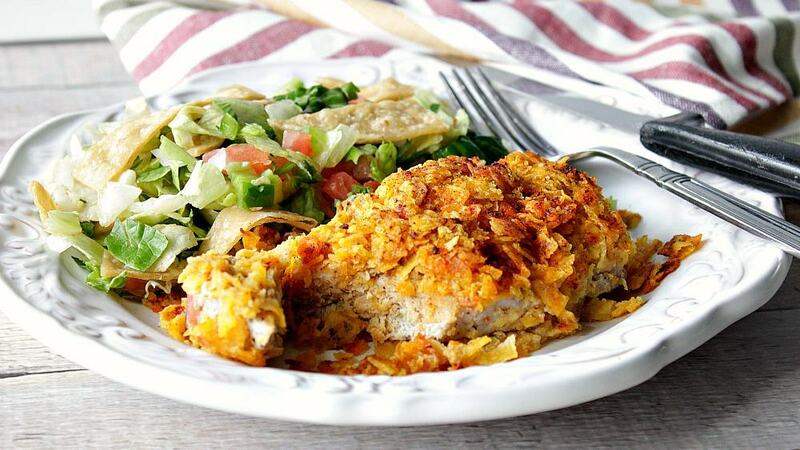 Crunchy Ranch Boneless Pork Chops are super easy and fun to make! And, since there are no knives needed to make this meal, even the youngest of kids can help to prepare this family favorite dinner! Sometimes dinnertime calls for a simple, no-fuss option that the whole family will enjoy. 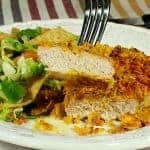 This recipe for Cool Ranch Boneless Pork Chops will fit into any families weekly dinner plans when time is short because so is the ingredient list. 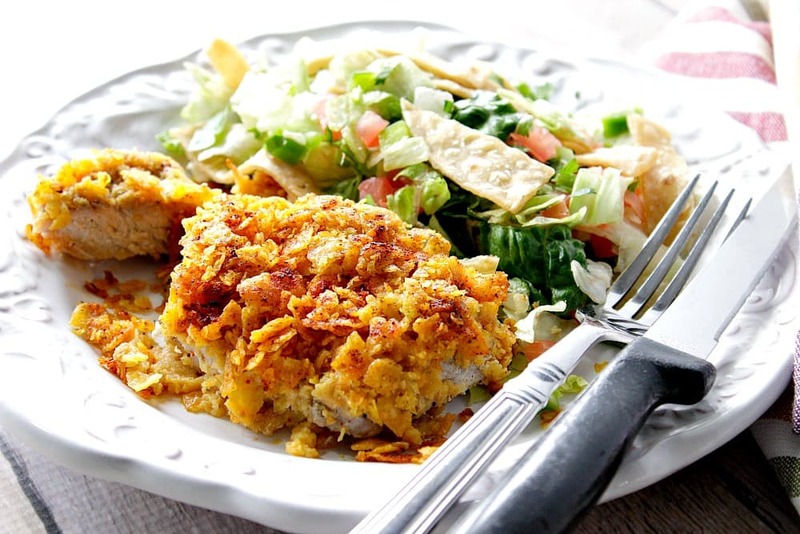 **Please Note – The printable recipe card with detailed instructions, complete ingredient measurements, and nutritional information for making Crunchy Cool Ranch Boneless Pork Chops is available near the end of this post. How long will it take to make Cool Ranch Pork Chops from start to dinner? Thirty minutes. 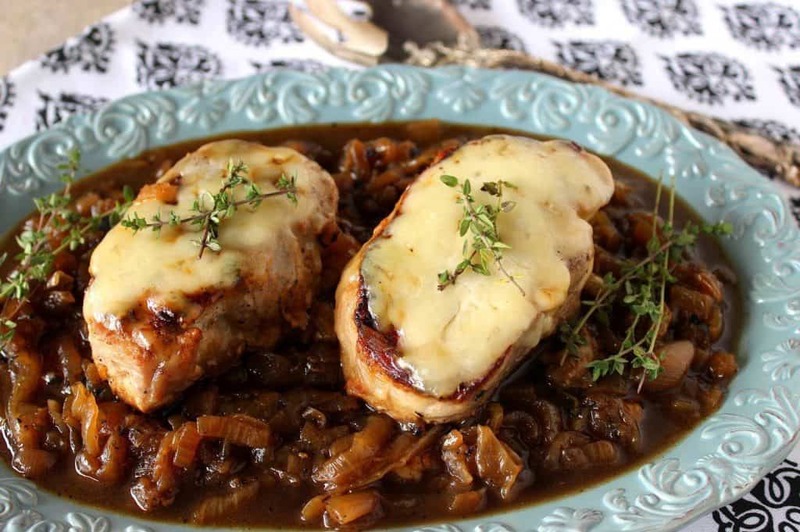 How’s that for an easy weeknight dinner that the kids will love?!! 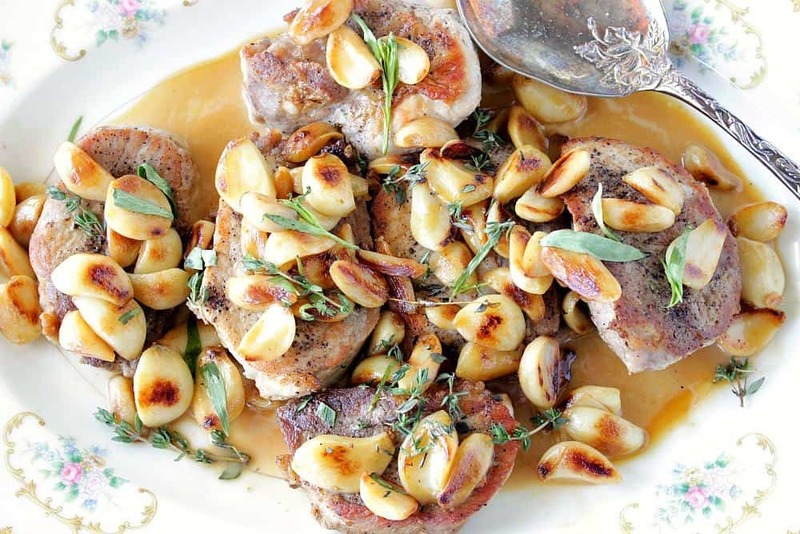 Can I use bone-in pork chops for this recipe? Yes, but the cooking time will be a bit longer with bone-in pork chops. Please plan accordingly. The proper internal temperature for safely cooking pork is 145-degrees Farenheight. Gone are the days that pork needs to be overcooked, bone dry and tasteless. This is one of the simplest to make family dinners, EVER! As long as you HIDE THE CHIPS so they’re not eaten before you get a chance to make this recipe (not that I’d know anything about that! HaHa), you’ll be golden!! Below is the printable recipe card for today’s Crunchy Doritos Boneless Pork Chops. 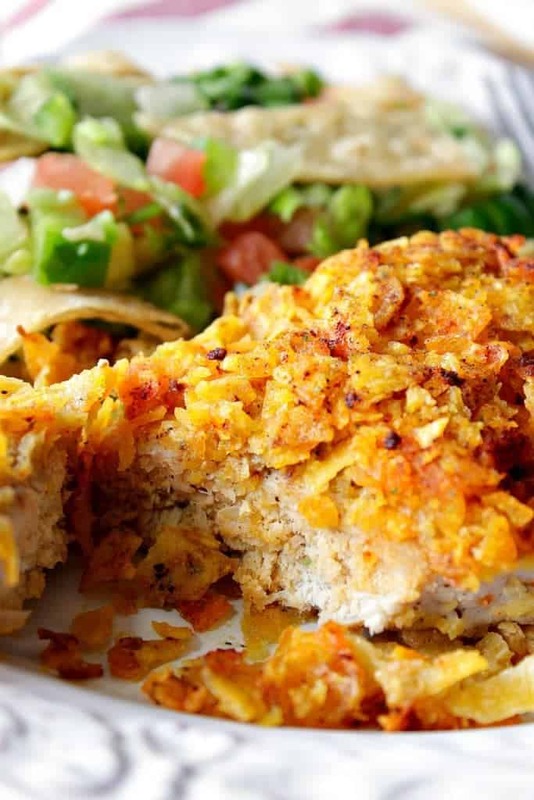 Cool Ranch Pork Chops are super crunchy and fun to make! 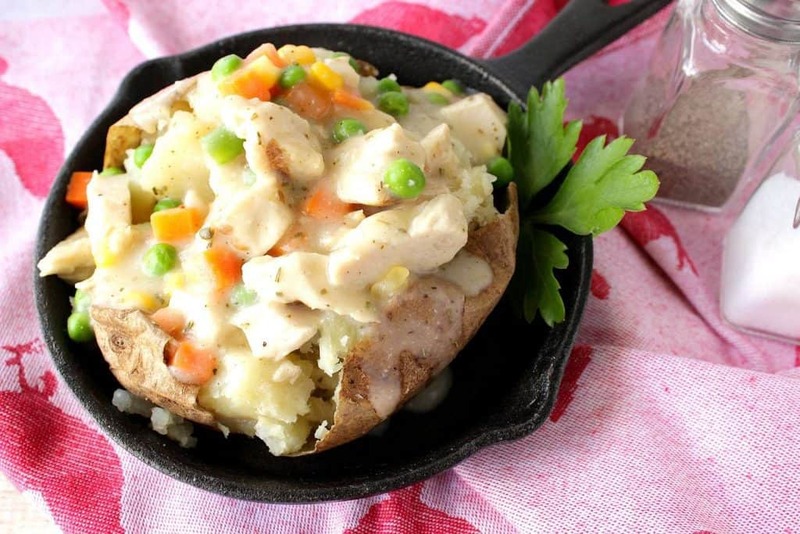 And, since there are no knives needed in the making of this recipe, even the youngest of kids can help to prepare this favorite family dinner! Brush each chop with ranch dressing on both sides. Season both sides of each chop with salt and pepper. Place the crushed tortilla chips in a shallow dish. Press each chop into the crushed chips on both sides. Place the prepared chops in a baking dish and sprinkle with the smoked paprika. Bake in a preheated oven for 20-25 minutes. 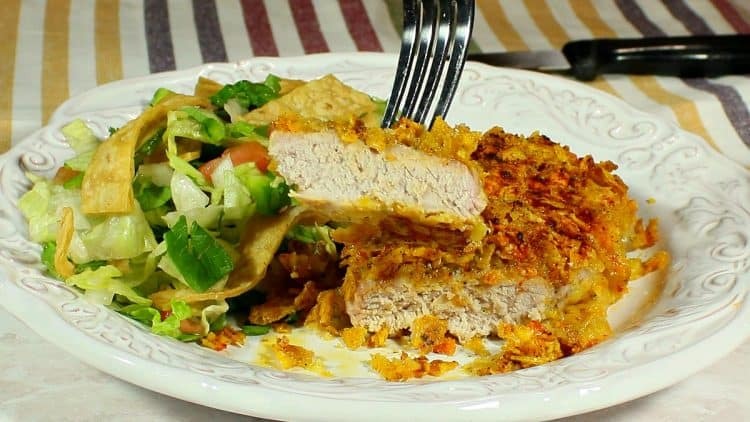 I sincerely hope you’ve enjoyed today’s recipe for Crunchy Cool Ranch Boneless Pork Chops as much as I’ve enjoyed bringing it to you! As you may or may not already know, I’m a decorative painter as well as a food blogger. My passions for both of these things (food and painting) runs deep. I specialize in hand painted glassware items and fabrics. The apron you see below is one of my favorites. It’s a quote from a woman I admire and the one who got me interested in cooking. The one and only, Julia Child! 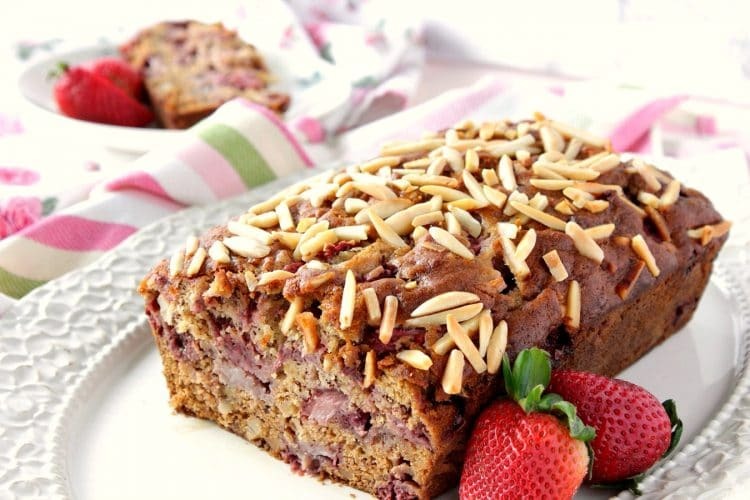 Should you have any questions regarding today’s recipe or anything else you’ve seen on my site, please don’t hesitate to contact me directly or leave me a comment in the comment section below. It is always my distinct pleasure to get back to you with a reply just as soon as I possibly can! 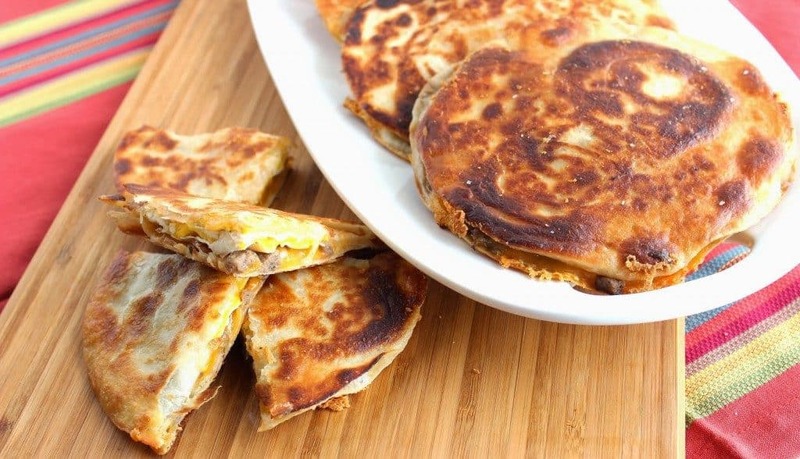 These look so good and I know my kids would enjoy making them with me! This is so much fun! My kids would love this! I’m with you–salt & pepper are basic cooking tools. I like how easy and fun this recipe is to prepare. Kids would love it! That sounds yummy and I love that crunchy breading! 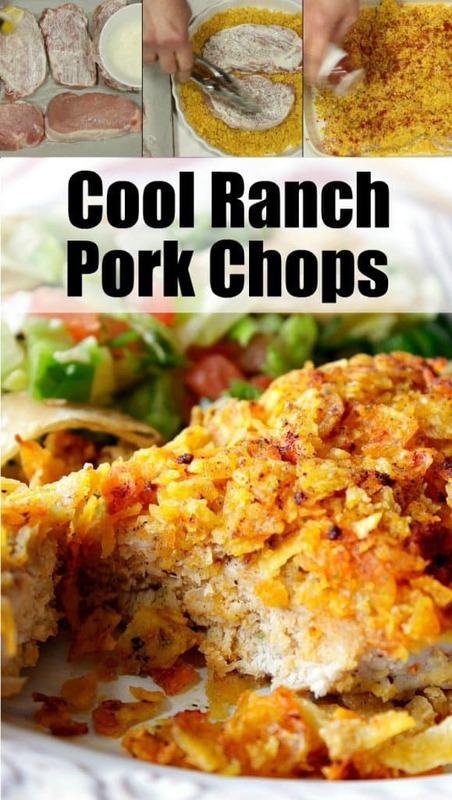 Cool Ranch Pork Chops sounds like something that my mom would LOVE! I can’t wait to send this to her! Quick and easy meals are my jam! And I love the video on how to make this! These look so delicious! LOVE the crunch! This was awesome — my kids love it! Yay!!! Mine too. Thanks, Tara! Cool Ranch are one of my favorite chips and my childs also! This is something I’m going to add to my dinner menu for the week! You’re both going to be very happy! Enjoy! !